So, it happened. One of my facebook friends got “edited”. Without any further notice, one of his posts about the Gaza conflict vanished from his wall. The post itself was not really radical, it linked to an official article. In his next post he mentioned this. Three of his friends commented that it had happened to them as well. All posts were about Gaza. None of the users were notified by facebook. I think that this case of “silent editing” presents a fitting topic for “justice everywhere”. A rather familiar theme of justice rears its head here, namely the fundamental right of free speech. Do we have a right to express ourselves freely in social media? Should we? Facebook’s editing policies have been widely discussed, for instance in the case of a cancer-survivor put her post-mastectomy-picturesup. They were considered pornographic by facebook and consequently removed. Public outrage followed, in the wake of which facebook changed its policy, explicitly allowing post-mastectomy photos. Other incidents included the removal of posts by gay activists or of pictures of artwork or photographs of new-born with a severe birth defect. Most of these cases were not silent, however. Users got notified by facebook. The tone of most of the articles I have quoted above displays a strong sense of entitlement: posters are often furious that their content is taken down. It seems that they feel curtailed in their right to express themselves via facebook. Are these claims justifiable? A powerful (mainly legal) counter-argument comes to mind: facebook is not a governmental organisation; it is a private company only bound by the general laws of the countries it operates in. Arguing on the level of political liberalism, a similar argument could be formulated by pointing out that nobody has to join facebook. People join willingly and knowing that facebook is a platform run by a private company. They need to agree to the latter’s terms and conditions (if they bother to read them), they do not need to post anything and they can terminate their account anytime. The latter is often much easier said than done, but still. Thus, users do not seem to possess the right to post whatever they want. 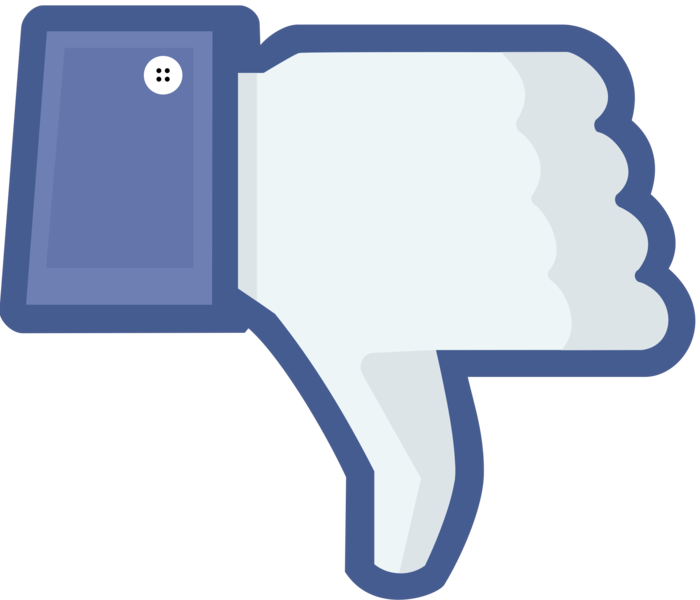 If users do not like it, facebook might retort, they can use other platforms. Regardless, I want to make a case on the basis of considerations of public justice that facebook needs to honour a right to free expression. The main reason is, in simple words, that facebook is just too big and influential to be excluded from further legal and ethical constraints – for example constraints on classic media or the monitoring that companies underlie which have a monopoly. Private persons, companies, newspapers, tv-channels, non-profit organisations etc. use it to spread information, to present themselves or get in contact with each other. Facebook should therefore be treated as the big media player that it is – like google. The latter is already familiar with legal claims. Based on this general assumption, I like to raise four legal-ethical points to argue why and how facebook should honour the right for free expression. Since facebook has an enormous bearing on the public debate of political and social issues, it should be subject to media laws and political scrutiny. In analogy to the google case, rights to privacy, to inform themselves freely or not to be harassed need to be respected. Some of them are already part of facebook’s “community standards”, but facebook is the only that monitors their enforcement. Facebooks own standards formulate obligations to their users. Facebook promises to leave the rights to content in the user’s hand, whenever standards are not violated. If not, they promise to notify the user (s. point 4 below). It should be made sure that facebook adheres to its own standards. Transparency presents a prominent principle in procedural justice. People have a right to be informed about the matters that concern them, especially in public interaction and deliberation. If facebook is editing content silently, it clearly violates this right. What my colleague experienced can, in my view, called “censorship” (a term that is usually reserved for government action) in a strong form. My point is thus that governmental institutions should have a way to interfere in this case. At least they should monitor processes more closely. This includes that facebook discloses it policies and operations. What do you think? P.S. I admit to being a frequent facebook user to gather information and keep in contact with people I do not see on a regular basis. Interestingly, my post linking to an article about Gideon Levy and his reports from Gaza is still up, while it disappeared from other walls. Not sure what that means. I am a post-doc researcher in the philosophy department at the university of Munich. My post-doc project is on the concept of resilience, capabilities and sustainabilty in social ethics. Hi Rebecca, thanks for this post, on a timely as well as important topic! I fully agree with your points. I recently came across the work of Christopher McMahon, who argues that the division between "private" and "public" cannot be based exclusively on who has which property rights. His own suggestion is to understand the public sphere as consisting “of those social mechanisms that make it possible for people with conflicting aims, especially moral aims, to live together” (Authority and Democracy (1994), p. 8), and he recently argued (Public Capitalism, 2013) that the authority of managers in corporations cannot be understood as being based on property rights either. I find this pretty convincing, and it adds further support to your point no. 1. Would you buy this argument? What I find more difficult to judge is where to draw the line between "having done enough" and "not having done enough" to make sure people know the terms and conditions. Technically, the information is all there, but as you point out, not all users bother to read it. Given what is known about behavioral tendencies, it is overwhelmingly plausible to think that many users, of many services, do not read (and maybe not understand) small print. So there is a question about how you could improve communication, to make sure individuals know what they are doing, and about who is responsibility if certain pieces of information do not get across. Dear Lisa, thank you for commenting and bringing McMahon's new work to my attention. I know some of his stuff on 'reasonable disagreement', but not his newer work. All in all, I find it very convincing not to base concerns of justice too much on property. Doing so seems to be a remainder of classic liberalism, e.g. in the works of Hume or Locke. I find this focus on property unconvincing even for their times, but nowadays, the world seems way to complex to give property a central place in a theory of justice. I must confess that I do not really buy into the private-public distinction, since I believe that some issues that fall into the "private" realm (e.g. inequality in families) should nevertheless be concerns of justice. But other than that I agree very much with your point! As for you second point, I think that in most of the cases I referred to this is not the primary issue. Even if people had read the small print, the contestable issue remains whether some material could be interpreted as controversial or not (as in cases of pictures of nudes in art which were considered to be pornographic by facebook). Of course, people are free and, it should be hoped, reasonable enough to inform themselves before they agree to certain terms and conditions. So, I agree, it is certainly problematic that many users will sign whatever they are presented with. Providers should make the terms understandable, however, which is no easy matter, but at some point, responsibility needs to come to an end. Thanks for this, Rebecca. This is an interesting topic and an interesting post. You correctly note that part of the case for imposing these regulations on Facebook appeals to the fact that 'private persons, companies, newspapers, tv-channels, non-profit organisations etc. use it to spread information, to present themselves or get in contact with each other'. Given these facts, do you think it also right that we criminally punish people for posting offensive views or material on Facebook? My familiar objection to prosecuting people who do this is that they will claim that Facebook is, to some extent, a private sphere, just like a conversation with one's friends. The point that you make seems to deny this and, therefore, defeat this objection to prosecuting those who post offensive views or material on Facebook. Thanks for the post, Rebecca. I think I agree with you regarding abiding by their own policy of informing users of editing content. On the further case of not ‘censoring’ material (whilst informing users), I have a couple of places where I was hoping I could ask you for a little more detail. First, I wondered what exactly is the aspect of free expression that interests you in the main focus of the post (e.g., posting a comment on Gaza). Is the concern with the space to express a view (e.g., to one’s friends) or with the space to express it within a certain kind of forum (e.g., as a contribution to political debate), or something different? Second, I was hoping you could say something further on the conditions by which organisations become subject to the requirements you suggest to honour such expression. If I understood you correctly, you think that the ‘private organisation’ reply might work if it were not for Facebook meeting certain criteria; you mention, for instance, that Facebook is large and influential, similar to monopolies, with a certain power over members, and a space for much social and political dialogue. I wonder if you could say a little more about which of these aspects (or which combination) matters crucially for making it subject to the requirements you mention? For instance, what is the kind of power you have in mind: high exit costs, lack of (plausible) alternatives for certain functions…? thank you very much for your interesting comment which is right on the mark. I fully get where you are coming from with your familiar objection which is highly prominent in liberal political philosophy. I think it highlights the important point that people should have a sphere of their own in which they can act and talk like they want to without anybody monitoring it. However, I have two reasons to doubt the argument of the private sphere in the case I have described. First, as I said in reply to Lisa, I am quite suspicious whether we can clearly identify a firm "private sphere". Many problems, e.g. the unequal treatment in families, the neglect of education, or the support of offensive opinions should in principle also be viewed as a matter of justice (I am here referring to work e.g. by Susan Moller Okin who claimed that the family is a place where considerations of justice apply). This need not, however, automatically lead to prosecution, other measures may be more appropriate, e.g. educationary measure. I know that I am making a contentious point here. I am also thankful if you guys point out when it goes too far. 2. Also, the point it was trying to make is that facebook does not solely belong to the private sphere anymore. Technically you could share stuff only with your friends, but we facebook users know that you can very often still access the stuff, it is in your newsfeed etc. So yes, in a way, I have to bite the bullet your are offering here: people should be at least monitored when they post offensive material. Whether criminal punishment is the right measure here should be decided, I think, in analogy to other cases. In Germany and many other countries, for example, it is a matter of criminal concern when you deny the Holocaust in a crowd or in public. I think that facebook is at least 'a crowd'. If somebody is offended, the same measures should be taken if something like this happens online. Still, I agree with you and Andrew (see below) that I have to work out a lot more details. What I presented was sketchy and the suggestion of a general perspective that facebook should not be viewed as fully private. Dear Andrew, thank you for your comment. I must say that I have not yet worked out most of the details in my head, so I am thankful for your comments, which may help a bit to achieve clarity. 1. I think that the second form of expression is, in the name of justice, the more crucial one. However, in reality, it may hard to distinguish in particular cases. If my friend posts on Gaza to spark a discussion among the group of his facebook friends, does he just express his own view or does he attempt to create a forum for political debate? Maybe social media changes the way that these kinds of debates are conducted and we need some new ways to identify them. 2. As for your second point, I am afraid I have to think about it some more. I have already stated in my reply to Tom, that my first goal with the post was to present a general outlook on how to view facebook. I would draw a strong parallel to google and to popular newspapers though. So, the lack of (plausible) alternatives is one crucial aspect. If you want to reach people in the social media sphere it is difficult to avoid facebook. The other is rather more sociological about the way facebook influences our opinions and the ways to form them – just like tabloids or certain powerful newspapers do. I hope I have made it a bit more specific by singling out these two aspect, which seem the most important ones in my view. But I will have to think about it some more, thank you for bringing it up!